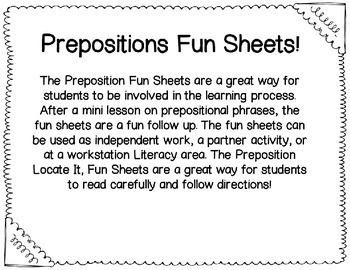 The Preposition Fun Sheets are a great way for students to be involved in the learning process. After a mini lesson on prepositional phrases, the fun sheets are a fun follow up. The fun sheets can be used as independent work, a partner activity, or at a workstation Literacy area. 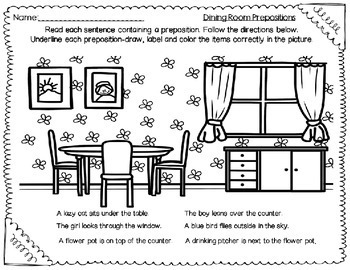 The Preposition Fun Sheets- Locate It, are a great way for students to also read carefully and follow directions! 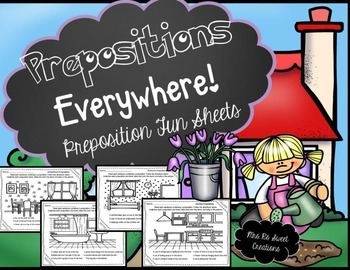 -4 Different Preposition Fun Sheets. All printables in black and white. 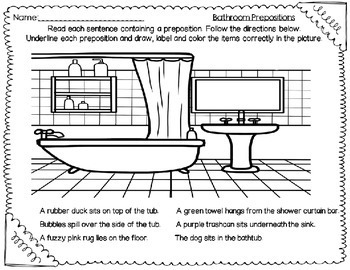 underline each preposition-draw, label and color the items correctly in the picture. Please rate and comment. Thank you!